The women of CIVIC surprised Merced Cohen by writing heartfelt messages to her inside of the book, In The Company of Women by Grace Bonney. International Women’s Day has left me grateful, inspired, rejoicing and driven all at once. Rather than focusing on balance, I see this day – and the entire month of March – as a time to focus on inclusion. This time is not about being elitist, rather it is about women honoring other women, men honoring women, and women honoring the men who see through the lens of inclusivity. Between all of the things women juggle, my hat’s off to women all over who make it look so easy, and I want to acknowledge that it’s not. Whatever it is, we usually do it with a smile even though we may not be smiling inside. For this and so much more, women are the definition of strength. Women are the unequivocal gold medal winner of multi-tasking. Women are an amazing combination of flow and focus; an esoteric and foundational component of our people-centric culture. When I think about all the women who came before me and the unimaginable hardships they endured, I feel such a massive sense of gratefulness to have been born in this time. 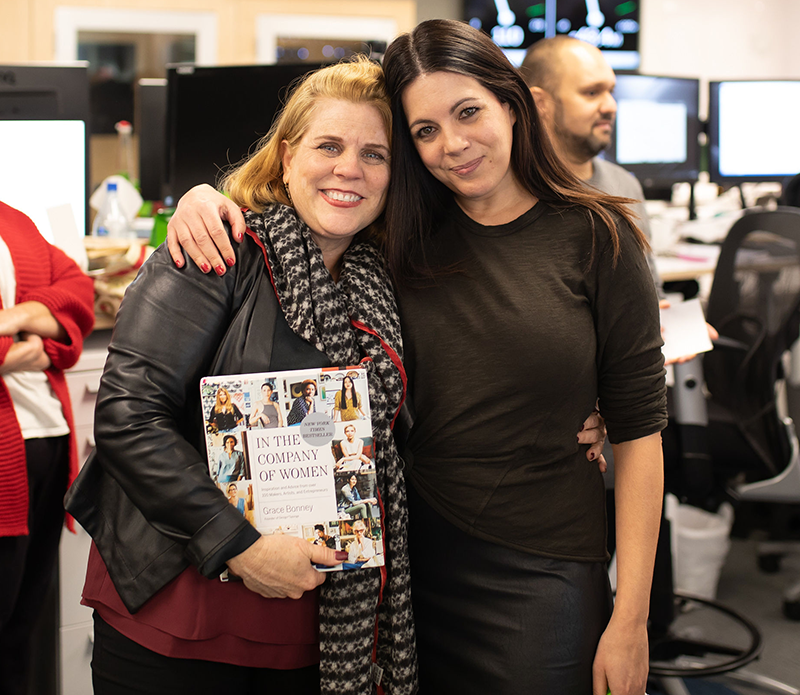 My gratitude transcends to pride and privilege to work at a company that focuses on diversity to both empower women AND elevate females into leadership roles. This month in particular happens to be my 2-year anniversary at CIVIC, and being part of this organization has fulfilled my aspiration of achieving and creating wholeness. Being a woman is recognizing and being unapologetic about my power, and leading into where I feel uncomfortable ─ even if it means conflict; knowing that sharing honesty with others is the ultimate gift I can give. I not only bear a responsibility to elevate women, but I equally bear the responsibility to elevate men to elevate women. When we all elevate one another, the possibilities are endless – so balance is for better, but inclusion is incomparable. 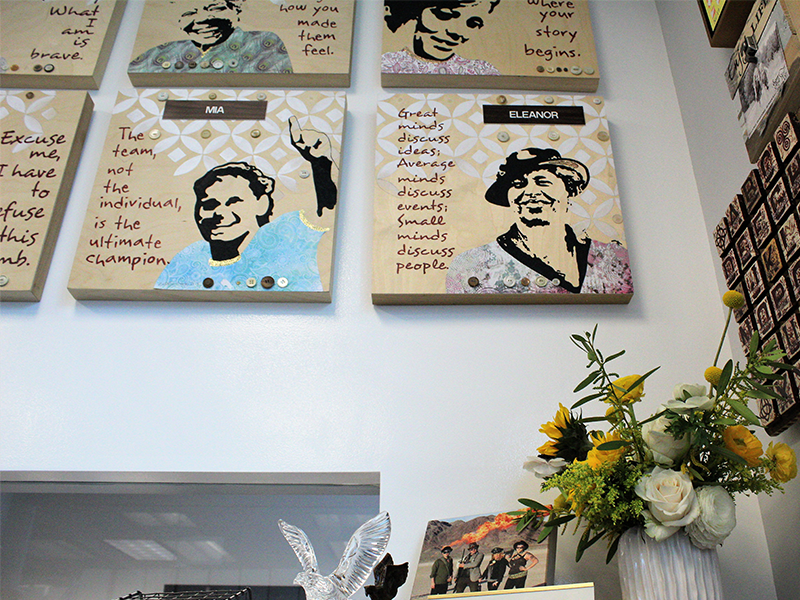 Influential women adorn the wall of Merced Cohen’s office, serving as daily reminders of strength, bravery and possibility.